E.S. Tooling is a production company for fine mechanical parts in the following areas: Automotive, Mould & Die, Medical, Aerospace en Optical. The company works with tolerances under 5 micron accuracy, reliable deliveries and an open communication to customer and shareholders. We are working with a modern production facility with air conditioned production and highend technological machines. Our production is based o n single piece production like prototypes to small series with high accurate parts, this makes E.S. Tooling in Europa a state-of-the-art company in his area. After the start in 1996 E.S. Tooling wins several prices for example the in 2004 SME laureate of Flanders. Searching for new areas in 2007 E.S. Healthcare was grounded for implant superstructures in the Dental industry. This business model was not invisible in the market and in 2008 Dentsply (U.S.A.) bought E.S. 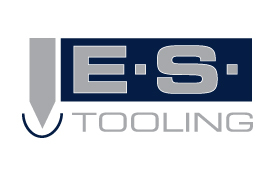 Tooling and E.S. Healthcare. In 2013 the existing management bought E.S. Tooling from Dentsply to continue the success story of E.S.Tooling. E.S. Tooling is an innovative driven company. The philosophy here is that you can only survive in Western Europe if you are always up front with the latest technology in the metal cutting market. Only then you can offer your costumer the added value that is needed. All employees are well educated and this will keep them motivated, thanks to an open communication and leadership based on a long term relation with employee and customer. E.S. Tooling is one of the first companies with fully automated 5 axis milling machines for single piece production. With the latest generation robots and software the machines are running 24 hours a day, 7 days a week.